Sometimes parts are hard to find, they aren’t produced anymore or maybe your project required an approach that isn’t “off the shelf”. As Australian D-class licensed manufacturing gunsmiths, we have the expertise to design and create your parts by hand. This includes prototypes or unique pieces to make your build one-of-a-kind (we don’t go for mass produced mentality). As McMillan’s Australian distributors, we can bring in the entire range of McMillan firearm accessories including McMillan Tactical, Hunting & Sporting and Edge Technology Fibreglass stocks. McMillan boast a massive range of action inlet selections (custom action and bottom metal also inlets available) and wide variety of colours and finishes, with optional accessories such as adjustable cheek pieces, decelerator pads, studs, rails, flush cups and more. Vist the McMillan Website for details and let us know what you would like. We love PRS events and are very excited to bring Masterpiece Arms’ full range of PRS tested and proven chassis and gear as Australian distributors. With a host of options such as rotating barricade stop systems, built-in monopod, bubble level, picatinny rail, enhanced vertical and pistol grips, side rails, night vision bridge, adjustable length of pull and cheek rest its no wonder these billet aluminum chassis were chosen as the official Chassis of the PRS USA. MPA offers a wide selection of products for actions including Remington and clones, Stiller, Defiance, Surgeon, Mausingfield, Big Horn, Savage, Tikka and Howa. Grayboe Stocks combine solid design with new manufacturing processes and compounds to deliver an exceptional product with reduced lead time and an everyday-shooter price tag. We partnered with Grayboe in 2017 as Australian distributors and haven’t looked back. Stocks available for tactical and hunting style for Remington 700 Short and Long Actions (we are working with Grayboe to deliver options for other actions – stay tuned!) . Every stock includes machined-in pillars, swivel studs and a recoil pad and the Grayboe promise. Beautifully designed, ultralight weight and outstanding accuracy from these carbon fibre stocks out of New Zealand.  Southfort Labs are at the forefront of lightweight stock development and carbon fibre wrapping of barrels. They use patented nanotechnology and modernised manufacturing processes. These Australian-made modular and bullpup chassis are designed with long-range competition and accuracy in mind. Exceptional quality and short lead times with features designed by competitive shooters for competitive shooters. Manufactured in Adelaide, South Australia, from billet aluminum. We love these chassis and you can read why here. Proudly Australian made and we are proud to distribute the PRP range. Konohawk pride themselves on high performance stocks with a fast turnaround. Using engineered resins and synthetic materials to blend more impact resistant product with expected rigidity to enable the rifle system to perform downrange. Includes stock inlet options for Tikka T3, T3X and CTR and Remington 700 with a variety of finishes. We are proud to distribute the full Konohawk range in Australia.